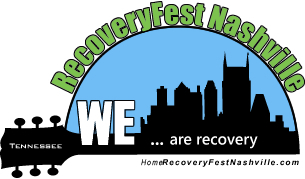 in historic Edgefield will be the site of this year's RecoveryFest Nashville. Originally its own incorporated town, Edgefield was one of Nashville's first residential suburns. Today, the Edgefield Historic District retains meticulously restored Italianate and Queen Anne cottages that survivied the fire of 1916 and can be enjoyed while strolling the neighborhood's brick-paved sidewalks.